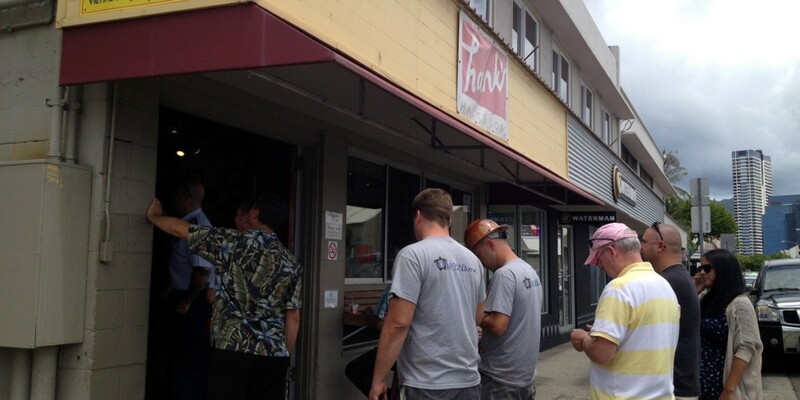 Hank’s had just opened, and was heralded as a Honolulu dining milestone. Founder Henry “Hank” Adaniya came to Hawaii from Chicago with solid chef cred. 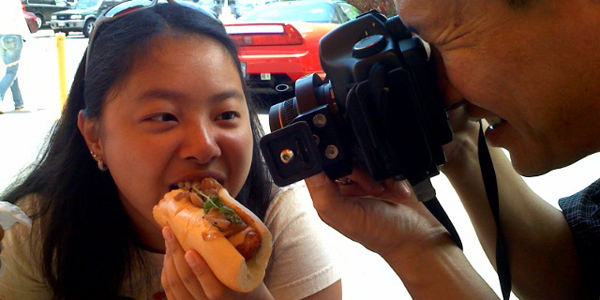 As intriguing as the then-novel idea of gourmet hot dogs was, it was an unusually hard sell for me that summer. I had just started working at Hawaii Information Service in the Dole Office Building in Iwilei. The area was, and still largely is, a culinary wasteland when it came to mid-day weekday lunch options, but its proximity to Costco made its famous $1.50 hot-dog-and-a-drink combo pretty compelling. Hank’s Haute Dogs were smaller, and much more expensive. But, I had to admit once I finally visited, they were also much more delicious. Genuine Chicago Vienna hot dogs, Polish dogs, steamed Bratwurst, grilled Chorizo… heck, even though I wasn’t crazy about the famous foie gras dog and duck fries, I knew I had to at least try them. In 2010, Hank’s was featured on “Diners, Drive-Ins and Dives.” Just last year, Hank’s was named one of the top ten hot dog stands in the country. Whether that vision is achievable has yet to be seen, but the transformation is well under way. And now that transformation is also displacing Hank’s from its current location on Cooke Street. While Hank’s is expected to move next door later this year, there’s no projected reopening date. For more information, visit hankshautedogs.com.